Consistently Consistent: Walker Texas Ranger.. Making big changes..
Walker Texas Ranger.. Making big changes..
Mike has been coming to my 5:30am class for three months now. 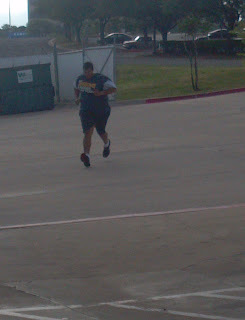 He started off of at 331.4 pounds from 4/7/12 to 318.6 pounds as of 6/9/12. I am now personal training him every Saturday to help bring him to the next level of fitness and health. I can't be more proud of him and the efforts he puts into his workouts. 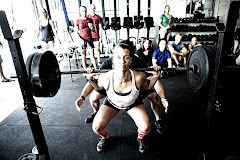 When I first heard about Crossfit, I thought it sounded extremely hard and probably not for me. "I have my own routine" was something I would always say. I lived most of my life on the heavy side and every few months tried a different diet or exercise routine. Most of these routines didn't work because I'd either get lazy and stopped doing it, or it was boring. Getting in shape, and exercising was something I always wanted to do, but just didn't have the discipline to maintain. My motivation to get started after years of delaying came down to a simple decision when I got fitted for a tux for my brother's wedding this September. When the attractive, young seamstress took my measurements I couldn't believe how big the results were. I was so embarrassed that I decided enough was enough, it was time for me to find something I could stick with and have amazing results. 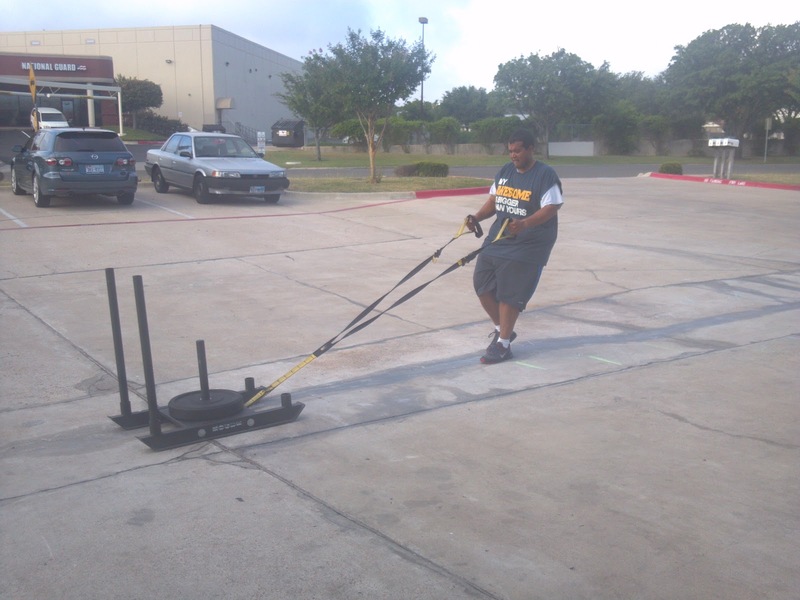 Fortunately Crossfit Round Rock is just around the corner from my apartment and I decided to stop by and take a look. When I arrived, Landon and Victoria were in the middle of teaching a class. 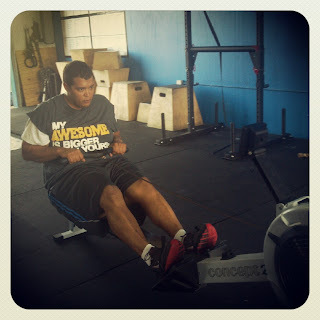 I had never seen anything like Crossfit before, there was lots of grunting, sweating, and lifting and jumping etc... I thought to myself this looks insane, and I totally want in on it! 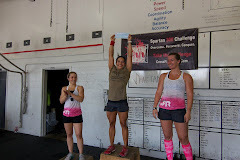 I started Elements class 1 week later, and my first WOD one week after. There's no doubt about it, this has been extremely hard work! It's very hard, very loud and very FUN! I'm absolutely exhausted after each WOD, and I've dealt with a couple of small injuries but I am seeing the results of my labor each week as I have lost weight consistently since beginning. My little brother's wedding isn't for another 3 1/2 months from now. There will be lots of single women there and I can't wait to show them the new Mike. Fit and strong! I was never a big fast food guy. I was always a thrifty shopper and usually bought food from the store or ate an actual restaurant. The problem was, I ate way too much of the wrong things and my serving sizes were enough to feed two to three people. I knew I had to change my habits if i was going to get in shape because I've always heard that proper nutrition and diet is 80% of weight loss success. When I started researching Crossfit, I learned about the Paleo method. When I first heard about it, I was kinda put off because the first thing I read was NO Starchy CARBS, NO DAIRY. I was like "WTF? ", I gotta have my bread, my pasta, my ice cream, and my cereal. Not even wheat bread and brown rice... Seriously??? Although I wasn't too pleased about having to give up those things, I started to think I that maybe I need to change my way of thinking. Maybe it's true that 80% of your weight loss is due to your diet, but it's also true that 80% of your success in Crossfit depends on how coach able you are. Since I decided to jump head first in to Crossfit, I decided to submit to the pain of change 100% and change my diet by following Paelo. I have been a Paleo man since late February and I haven't looked back since then. You will not find a loaf of bread, a grain of rice or a dairy product in my fridge. My diet consists of meat, veggies, fruits. I eat low sugar, non-gluten and non processed foods now and I freaking love it. This diet is much more enjoyable than I could have imagined because it's forced me to become creative with foods I would have normally never eaten before. I made cauliflower crusted pizza, mashed cauliflower and I have one cheat meal a week. I've even managed to be strategic about my cheat meals. I cheat on Saturdays preferably early in the afternoon or for lunch by eating high protein type foods such as BBQ or chicken wings (non battered). Eating the cheat meal earlier in the day allows my body to burn some of it off throughout the rest of the evening. My brother Brandon and I have a saying, "Get Big!". Get Big is a way of life that means you live your life committing 100% to something similar to 'Go Big or Go home'. So I've decided to "Get Big" on a daily basis. To have success in Crossfit and Paleo, you have to Get Big or don't even show up. After 3 full months of training and dieting, I'm having the results I can be proud of. I'm going to continue this vision quest of mine and "Get Big" for the rest of my life now.